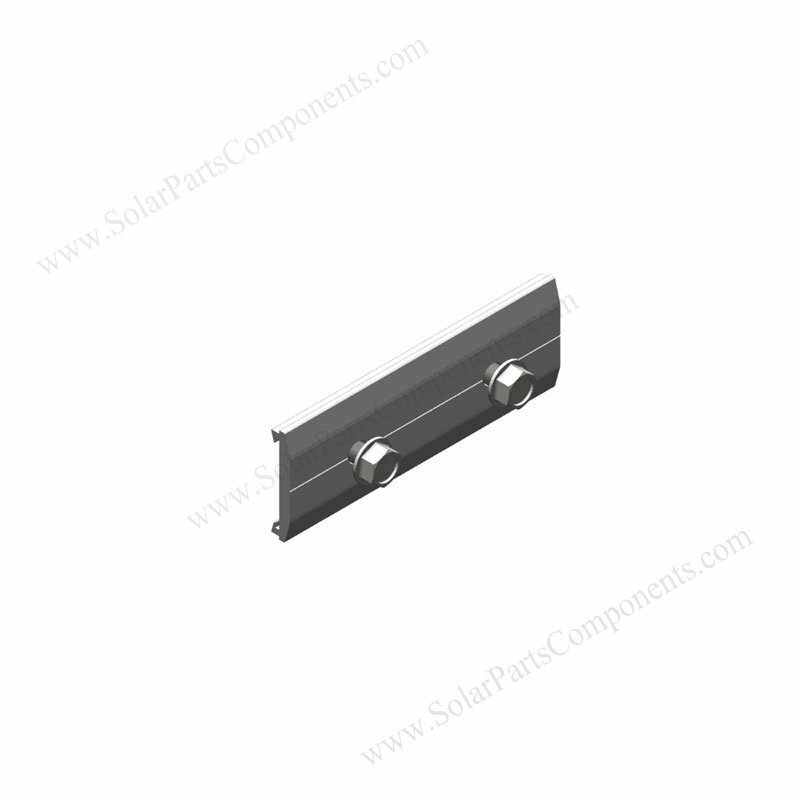 Aluminum made ” L ” feet component is anodized AL 6005 – T5 in material , can be flexible for all module types . 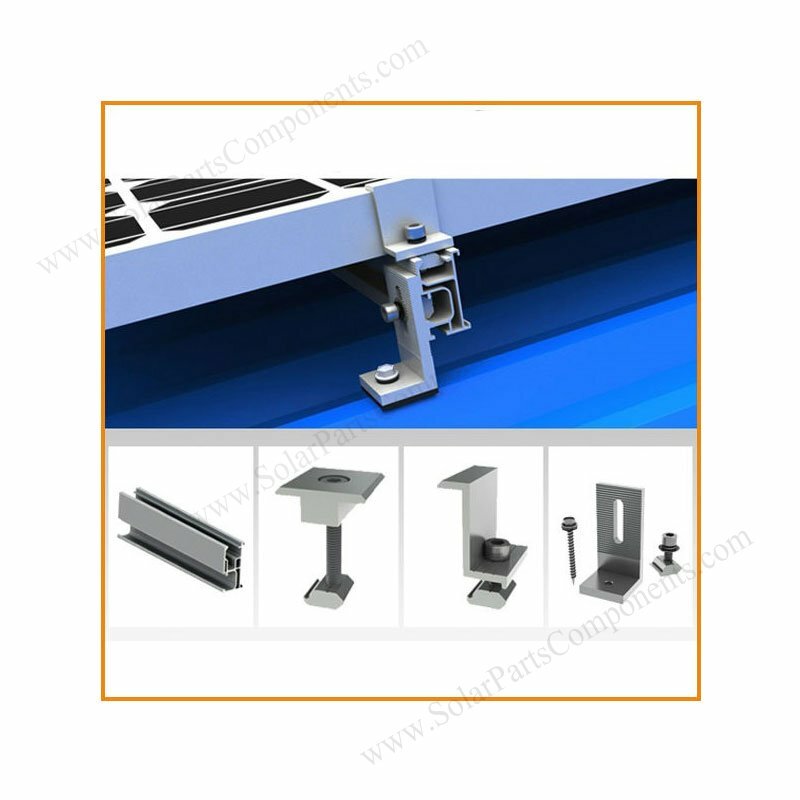 Anodized treatment for L feet can keep anti-rust in bad weathers . 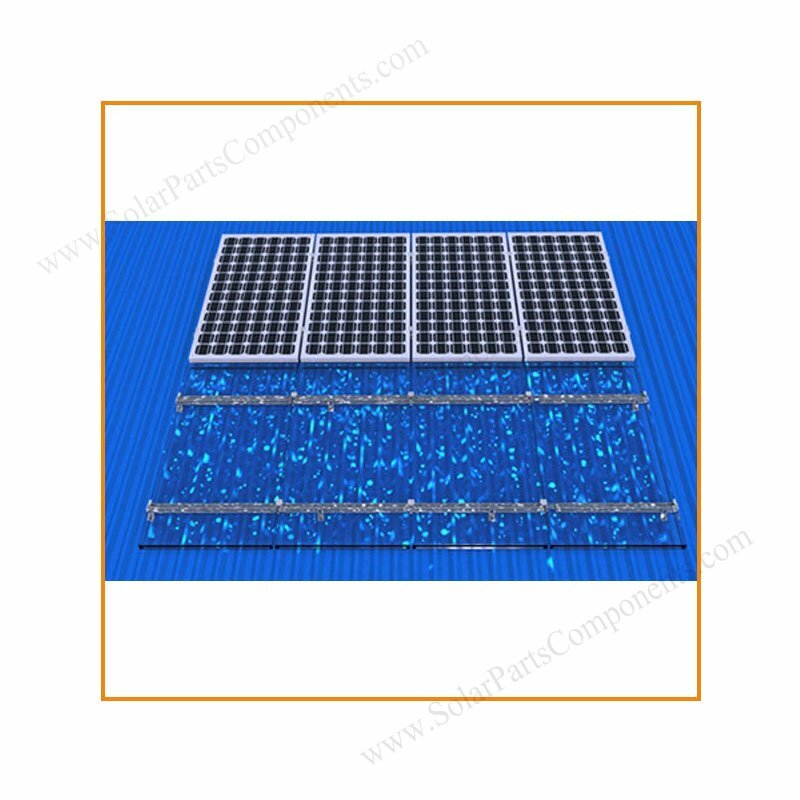 IP 65 class waterproof with our silicone rubber pads . 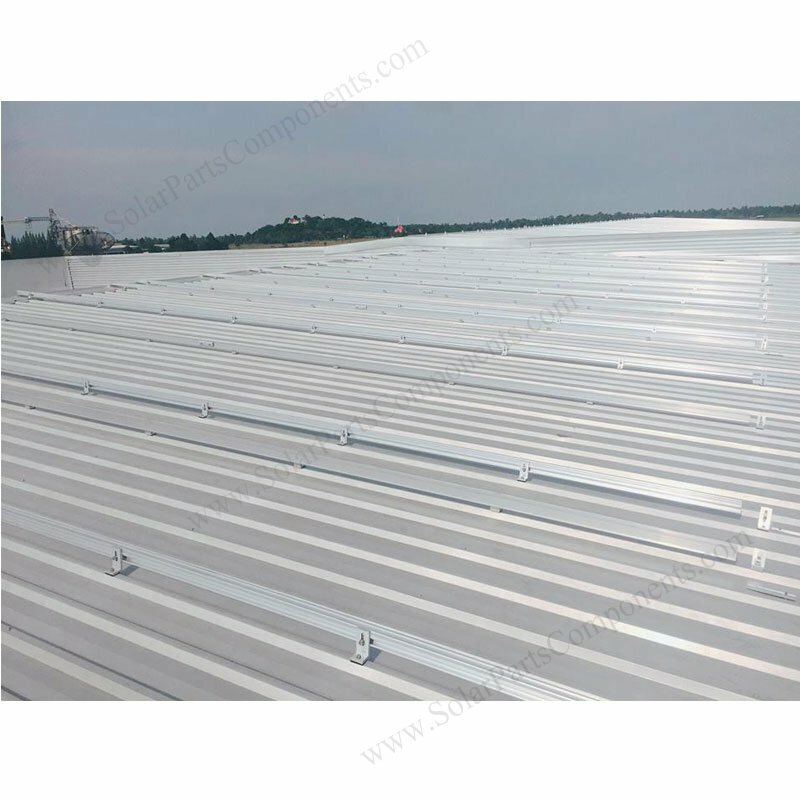 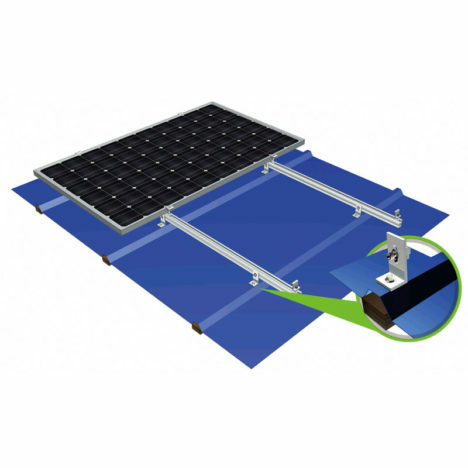 This L foot tin roof mounting solution can be suitable for most all type of metal rooftops and flat roofs . 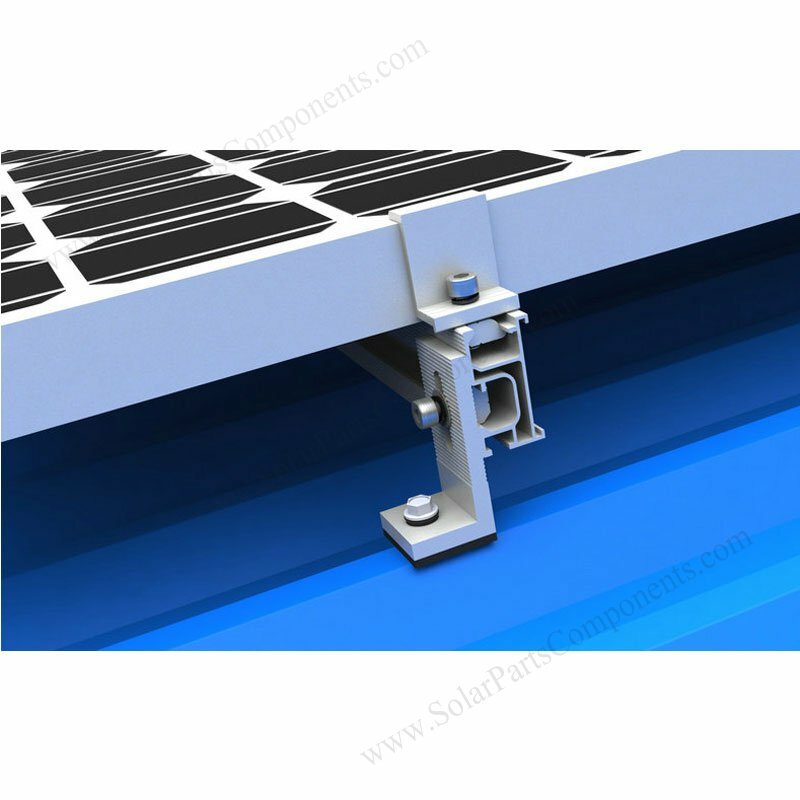 Cost-effective for both framed and unframed solar panel mounts , tilt angle can be from 5 – 60 dedgrees . 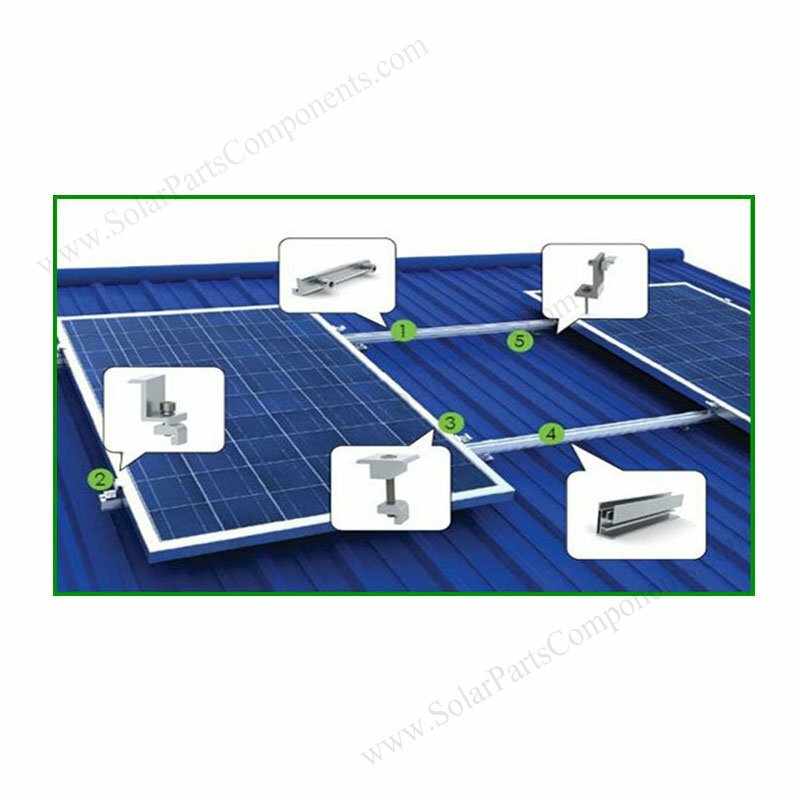 L feet bracket kit can have several measurement design as waterproof bracket and anchor to fit different solar rails for tin roofs . 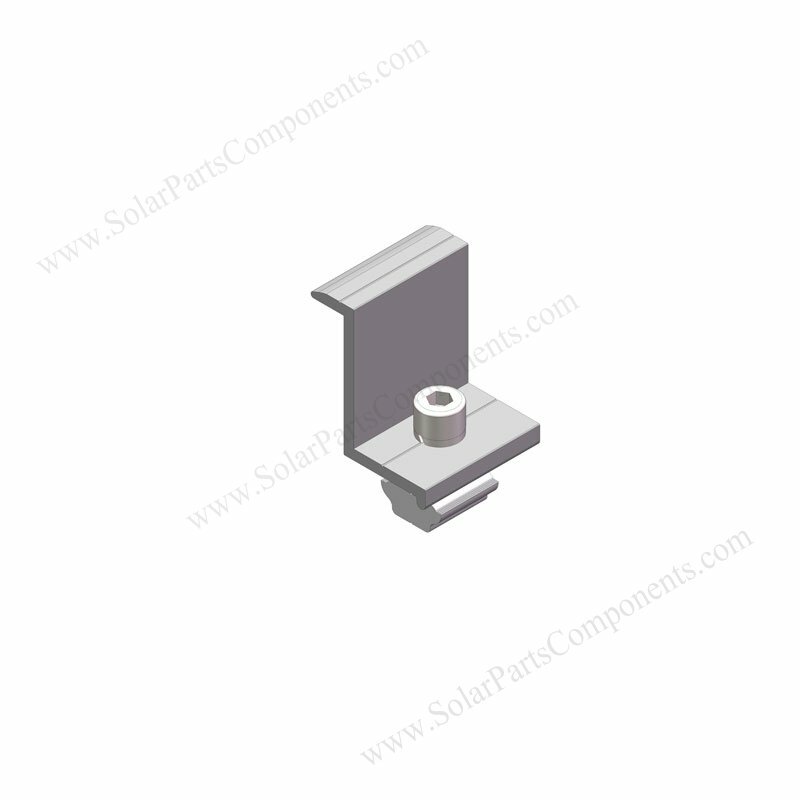 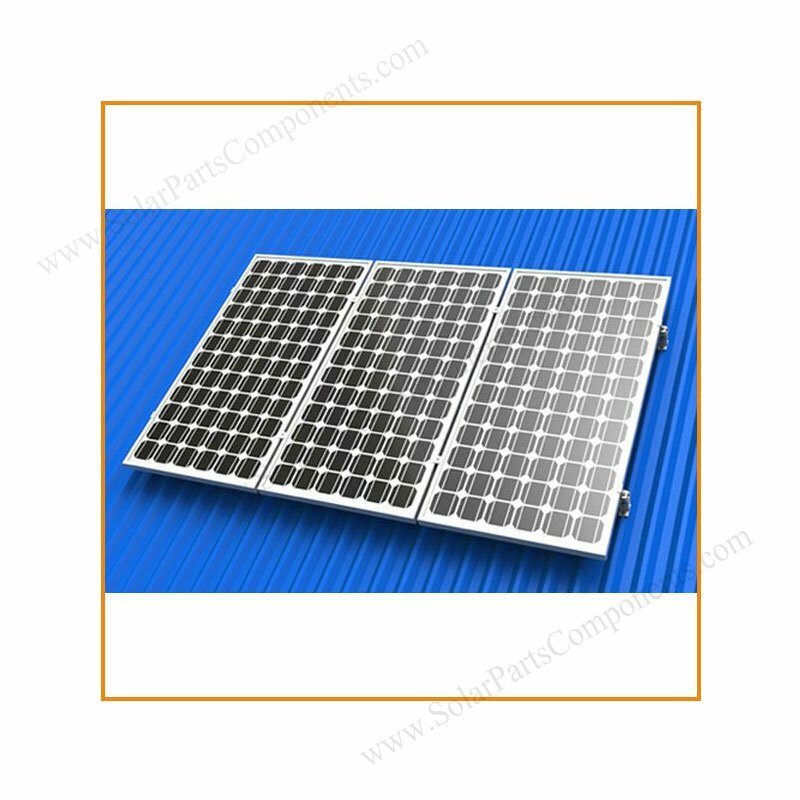 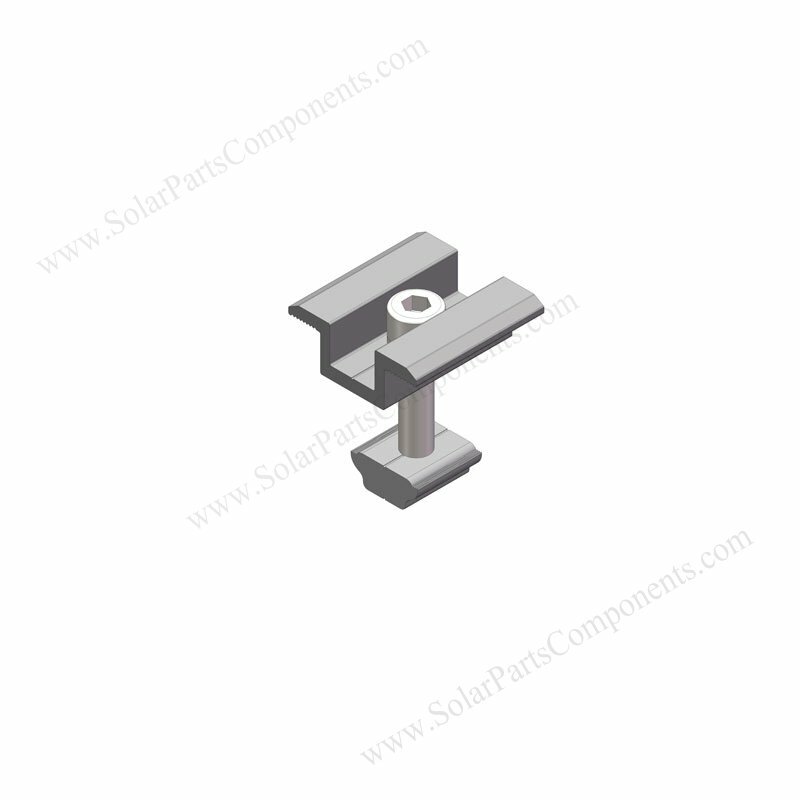 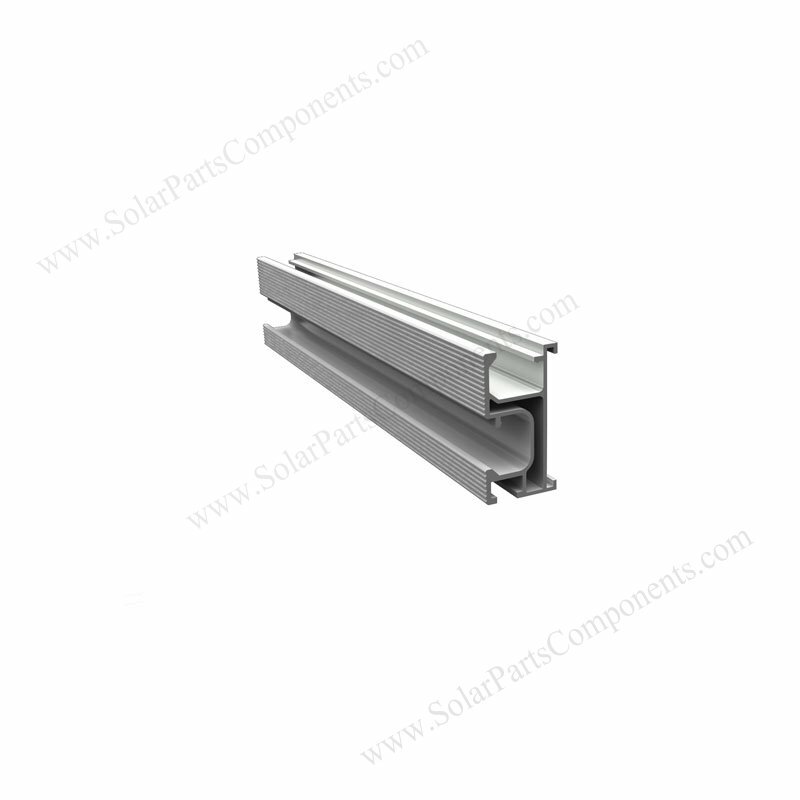 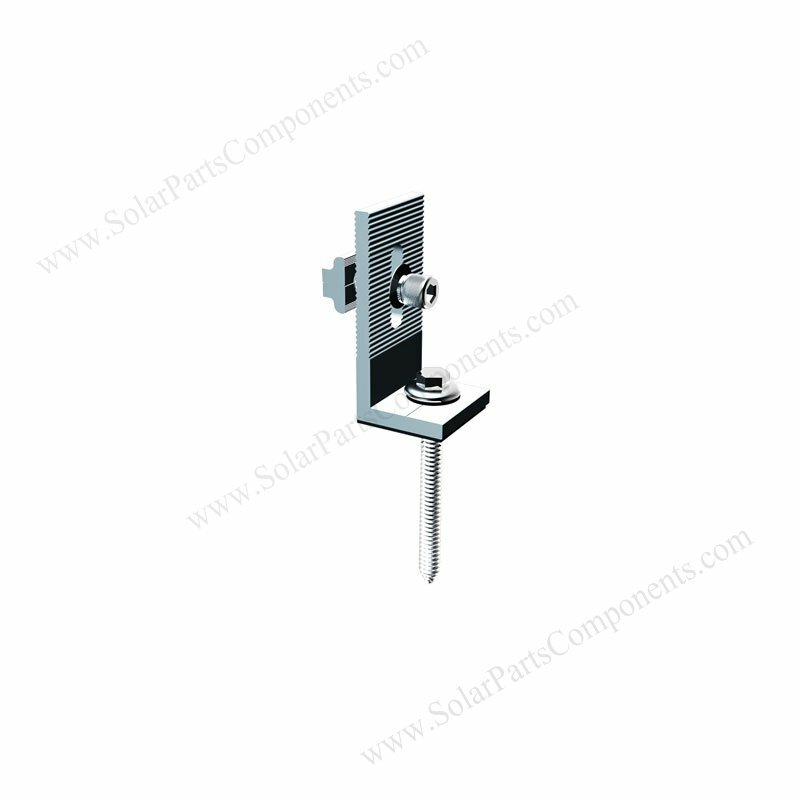 Anodized, high anti-corrision, great compatible performance make your solar project success . 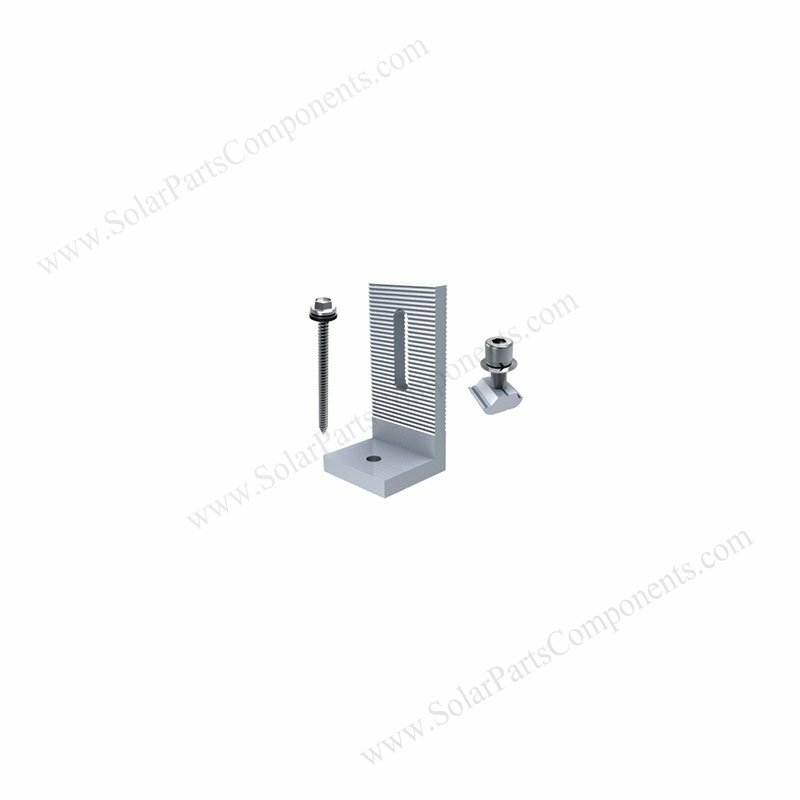 Coming with alum bolts, wood screws and arc rubber pads , ensures leak free and quick mounts .